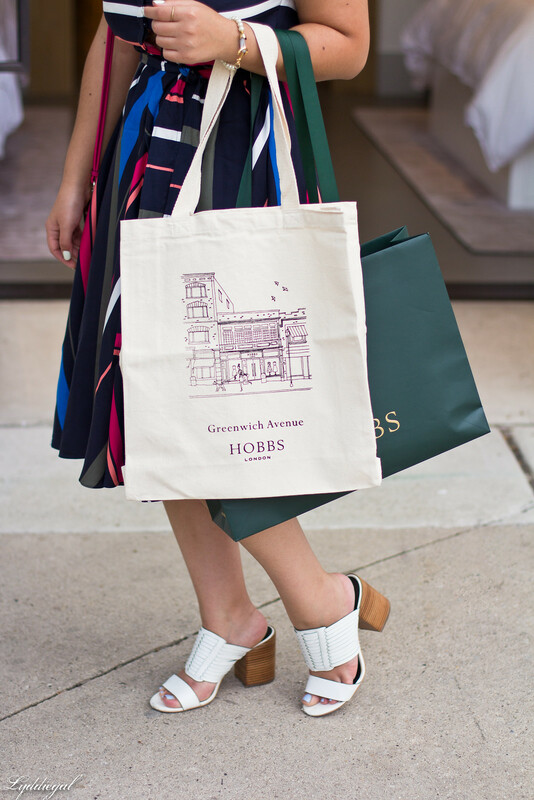 I saw a sneak peek of the Hobbs store on your instagram and was immediately smitten - I'm a sucker for a well decorated boutique, what can I say? Although I'm not sure that the colourful clothes would be very me, I can never resist shoes made in Italy, no matter what shades they come in. 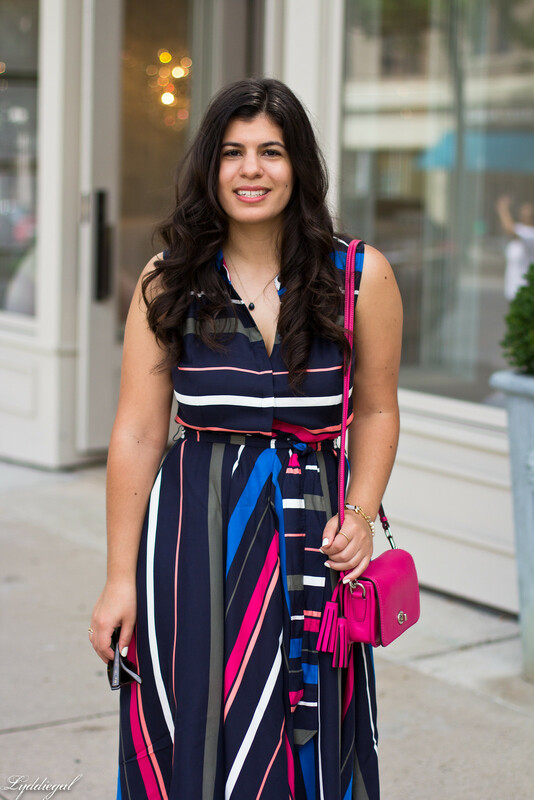 And I do love this dress on you, particularly because you clearly already had everything you needed in your wardrobe to go with it - hello, adorable pink bag and white mules. I feel like that's how you know something is really "meant to be" yours, if there is any kind of fate associated with clothing - just being able to put it on and work it into an outfit the second you unpack it. Oh what a treat to have a Hobbs nearby ! The dress is unreal - I saw it on your IG feed and gasped. Very nice dress, great colors! 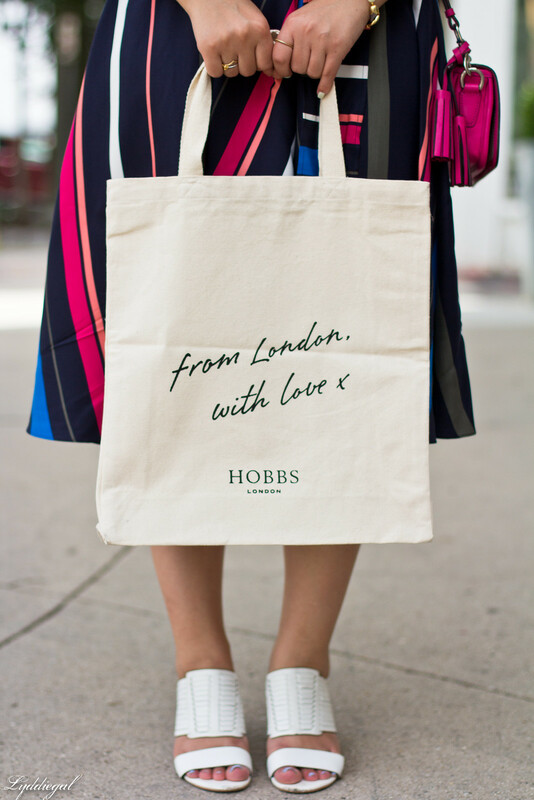 I am such a huge fan of Hobbs (it's definitely the anglophile in me). I wish they'd opened this store while I was still living in the area! And your dress is really stunning, as a side note. This dress is SO cute! I love the stripes. Yay for Hobbs crossing the pond! Oooh yay! You know how I love all things British! Definitely going to have to check them out one weekend! 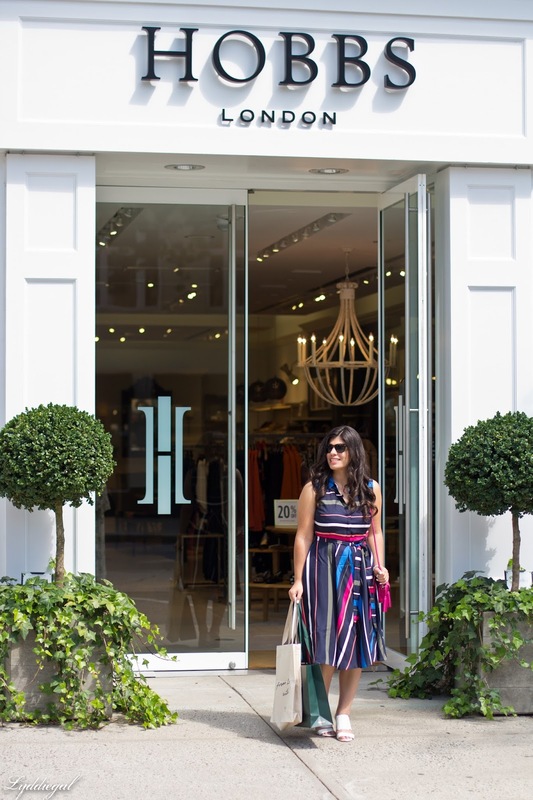 Oh I just love this striped Hobbs dress! 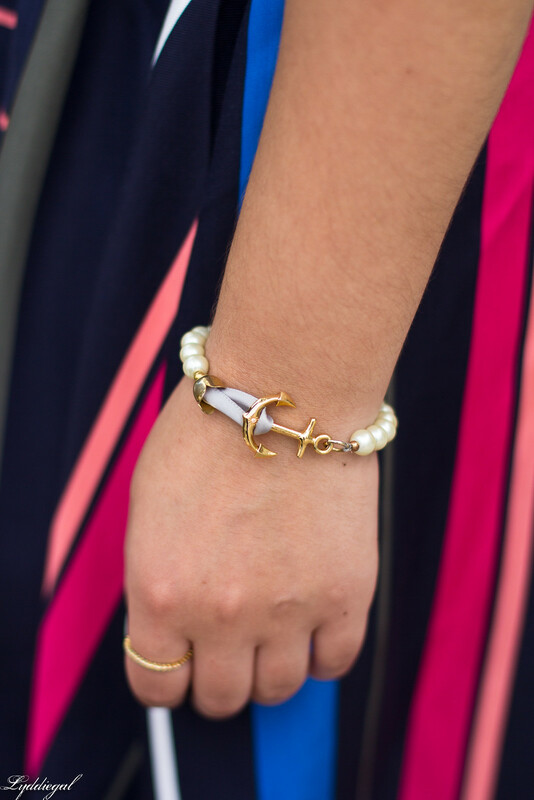 Fun for wearing to work and out on the town! So cool that you got to attend the opening as well! I've never heard of this shop, but what a fabulous dress, Lydia!! 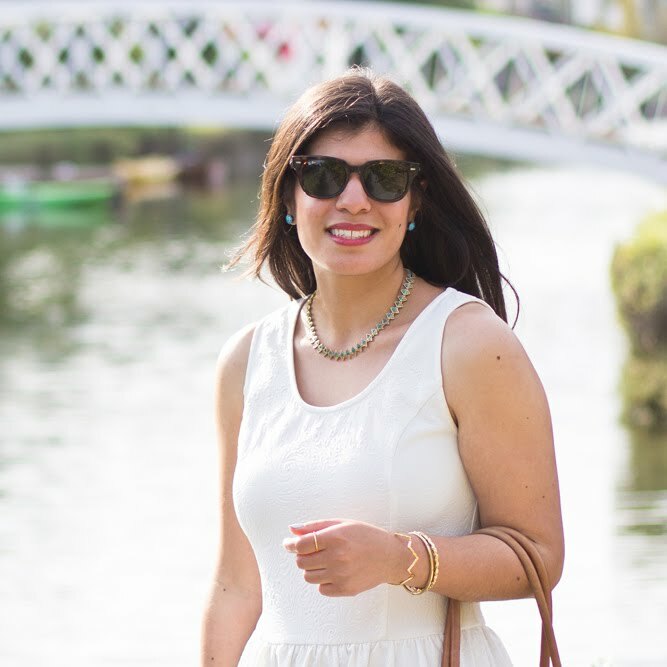 I love how you paired it with the white shoes, to keep it more summery!! I've never heard of this store but I am headed to check them out online! 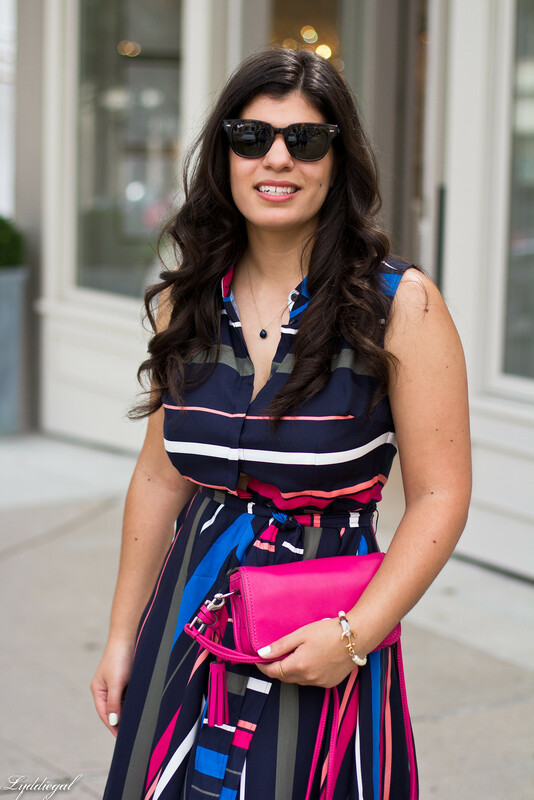 That shirtdress is beautiful! I love the colors! What an amazing look, Lyddie! 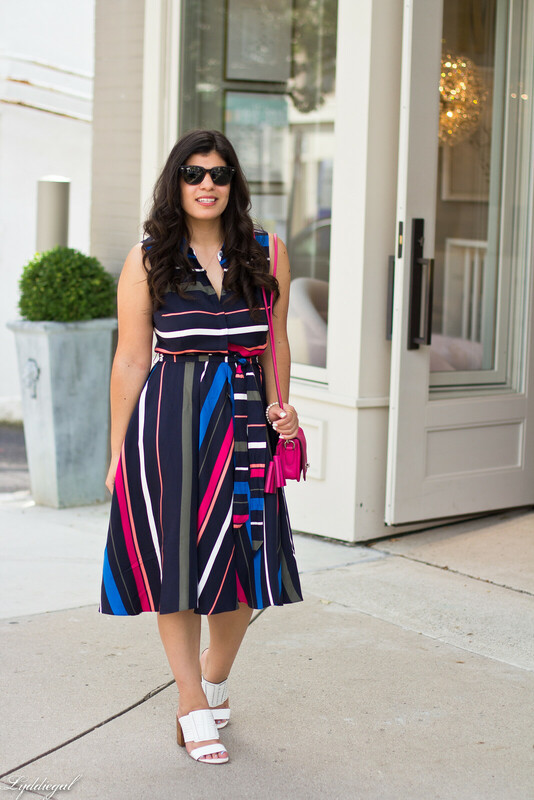 That rainbow stripe dress is everything! !